The number of human beings who, at any given moment and in any defined society, care deeply about literature, music and the arts, for whom such caring comports a truly personal investment and opening of being, is small. Or to put it more accurately, where accuracy is of the essence: the ordinary museum visitor, the fitful reader of poetry, of exigent prose, the audience for classical and modernist music as these are performed, broadcast or recorded, participates in a rite of encounter and response which, after the period of secondary and, possibly, of tertiary education in which such encounter may have been assigned its cultural and social functions, belongs less to the sphere of commitment than it does to that of decorum. In numerous societies, moreover, even this participation enlists only the privileged. Given a free vote, the bulk of humankind will choose football, the soap opera or bingo over Aeschylus. To pretend otherwise, to edify programmes of high humane civilization as arising from improvements in mass education – such didactic projections are active in Jeffersonian or Arnoldian liberalism no less than in Marxism-Leninism – is cant. Those who, in actual fact, generate the syllabus, who recognize, elucidate and transmit the legacy of literacy in regard to textual, artistic and musical creation, have always been, are a handful. Thus the very assumption of a maturing plurality, of a broadly based catholicity of perception and choice on which the liberal, consensual case for the determination and validation of values is founded, is largely spurious. The statistics of the diffusion of cultural products mask the intensely reductive, specialized status of the few who actually initiate and encode the dominant currents and criteria. All valuation, all 'canonization' (observe the persistent theological analogues) are of the politics of taste. These politics are, in essence, oligarchic. George Steiner, Real Presences, Faber and Faber, London, 1989, p.67f. The newly completed 'Elbphilharmonie' in Hamburg. 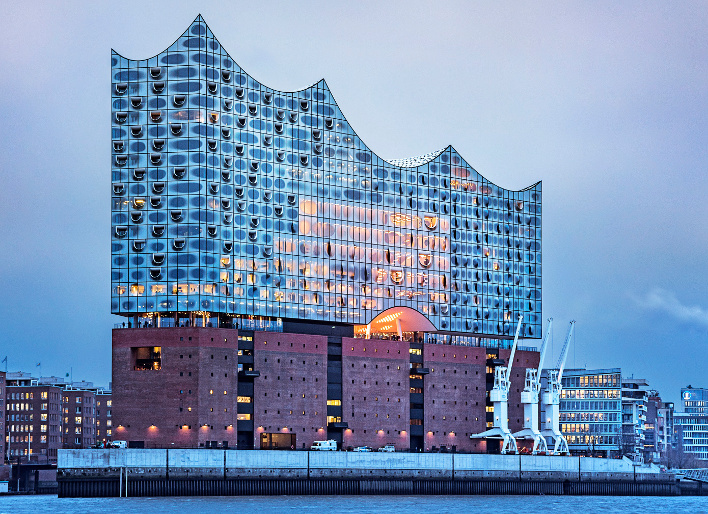 Image: Elbphilharmonie.